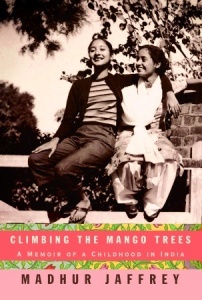 Our judge for this round of CTB, fellow foodie and blogger Ann Luke from Split Pear-sonality – A Cooking Journey, has carefully read and drooled over all of the wonderful entries inspired by Madhur Jaffrey’s “Climbing the Mango Trees” and has selected a winner–in her own words below. First of all, many thanks for inviting me to be a guest judge for your Cook the Books club. I’m honored to have been invited to the virtual party and it never ceases to amaze me how so many of us from far flung places can get to connect with each other through blogging and the Internet. While I cannot claim to be a complete Indian food expert, I have eaten a good share of it growing up and wanted to advocate how there are many other different flavors and types of food from India as a result of the different ethnic, religious and geographical regions that make up the sub-continent. Many people have an exposure to Indian restaurant food which typically profiles the food of Northern India/Pakistan, which was a point well noted by Foodycat in her book review. Typical restaurant curries are usually non-vegetarian and Moghul-era influenced with rich, cream based gravies. This, however, is not the typical fare eaten on a daily basis at many Indian homes. Jaffrey has done a quite a commendable job translating curries away from typical restaurant fare to the regular home kitchen and she is one of the pioneers among Indian cookbook authors. However, I hope the Cook the Book Club members, who if they have truly been intrigued by Indian cooking after reading Climbing the Mango Trees, will take the opportunity to try and savour regional delicacies from India like the Portuguese influenced foods of Goa, or the Syrian Christian and Muslim delicacies of the state of Kerala, to the spicy seafood preparations from Bengal or the traditional South Indian vegan thalis of Tamil Nadu. It goes without saying that I had a difficult time coming up with one winner for this event, everyone brought their own fantastic representation of the book to the dining table and I had a great time virtually savoring the entries. There were also those of you who wrote about your own personal experiences coming from a different culture to the US and looking at your classmates lunchboxes to see the different foods they had brought, to those of you who successfully used locally sourced ingredients or foreign cheese that may have never been used before in an Indian dish. To round up, I picked Kelly of It’s A Food Life as the winner for her humorous account of going shopping at an Indian store (oh dear, what are you going to do with that twenty pound bag of flour?!) and her fantastic recreation of a complete Indian meal – Rotis, Raita, Rice, a vegetable dish, a legume dish and a protein dish. Her meal of –Rotis, Cucumber Raita, Basmati Rice with Dill and Cardamom. South Indian Style Stir-Fried Green Beans, Chickpeas Cooked in Tea, and Salmon with Mustard Seed and Coriander is a veritable medley of flavors and textures and a great representation of an Indian feast, something I could easily see a family or group of acquaintances sitting down to for a special dinner. Aside from complex spices, Indian cooking can also be fairly labor intensive with its typical spice grinding, roasting, pan-frying, gravy-making and baking steps. One of my major gripes with all this activity is the overflowing kitchen sink that you end up with, which luckily can be blissfully forgotten when you reward yourself with the actual food! So hats off to you Kelly, I do not even want to imagine what a hive of activity your kitchen must have been for you to churn out this number of dishes! I also wanted to send a special mention to Foodycat for her equally elaborate and full course meal of mutton and spinach curry, spiced cauliflower cheese, dhal and naan. Again, this must have been a lot of effort to put together all these dishes and they all made for great menu choices for a complete Indian meal. Finally, I wanted to also give a shout-out to Heather of Girlichef for the eloquent way in which she recounted the book. Her description of what a monsoon may entail was beautiful and lilting. And to top it all off, she made monsoon inspired jelebis which while not from Jaffrey’s book itself, are a common and well-loved but very-rarely-attempted-at-home sweet! Thank you all for letting me be a part of your Book Club this month! Here’s to more splendid books and the untold inspirations that await us. So congratulations to Kelly who wins her second Cook the Book challenge! (Kelly, along with Heather of girlichef and Joanne of Eats Well With Others) won for “The School of Essential Ingredients,” our last CTB selection). Kelly can proudly fly the coveted Cook the Books Winners Badge two times on her blog now! 😉 Congrats also to Foodycat and girlichef, our runners up for this round. And of course, many, many thanks to Ann for being such a wonderful judge! I now pass the hosting torch on to Johanna of Food Junkie not Junk Food as we explore life behind the scenes in Mario Batali’s kitchen in “Heat” by Bill Buford. Thanks so much to Ann for hosting…it is quite an undertaking to read every persons submissions (and comment, too!!). Thanks for the honorable mention and congrats to Kelly…you’re on a roll, baby 😉 Great pick in this Jaffrey memoir, Deb 🙂 Now…looking forward to HEAT! Thanks to our gracious guest judge Ann of Split Pear-Sonality for her thoughtful and well-considered comments about our Cook the Books posts. Deb, as always, a great job hosting and rounding up our CTB posts. And kudos to our winner, Kelly of It’s a Food Life for her amazing kitchen production. That was some Indian feast! I always have so much fun with this group and am looking forward to our next book, “Heat”. I learn so much from you all. Thank you. Thanks Ann for judging and of course congratulations to all our winners! I hope you guys enjoy Heat as much. Wow, how exciting! Thank you so much Ann – for your comments and for taking the time to judge. I know it couldn’t have been an easy task. I am glad that I could make you chuckle and I will let you know how it goes with that bag of flour; I am determined to use it all! You are right there was quite a pile of dishes to do but well worth it, I think. Congratulations to girlichef and Foodycat. Nice job ladies! Great round up Deb and now I look forward to the next book! So much fun! Congratulations, Kelly, Alicia and Heather! And thanks Ann for judging. I am already reading Heat and having a really nice time. Congratulations gals! Wonderful dishes. Thanks so much for the round-up and lovely guest judge. Can we just join in the fun at any point? What would the next round for me to join in be? I have been wanting for some time to begin reading these great picks you feature and now with both little ones in school I can actually get some reading in again! I found it: December 3rd. Natashya, your orecchiette look great. Nice job! BTW–The next three books after that are listed on the previous post too, if you want a head start. Hi Simona–Yes, it is Friday, December 3rd. Sorry about that! Just finished my post on Heat, an awesome pick. I really enjoyed reading that one. And, a belated congratulations to our previous winners, Kelly, Alicia & Heather, and everyone who contributed delicious dishes. 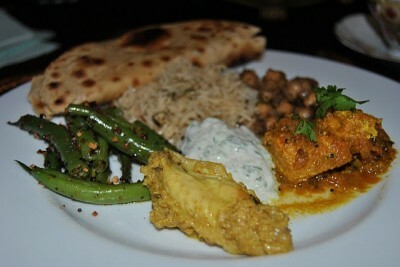 Indian food, yum!